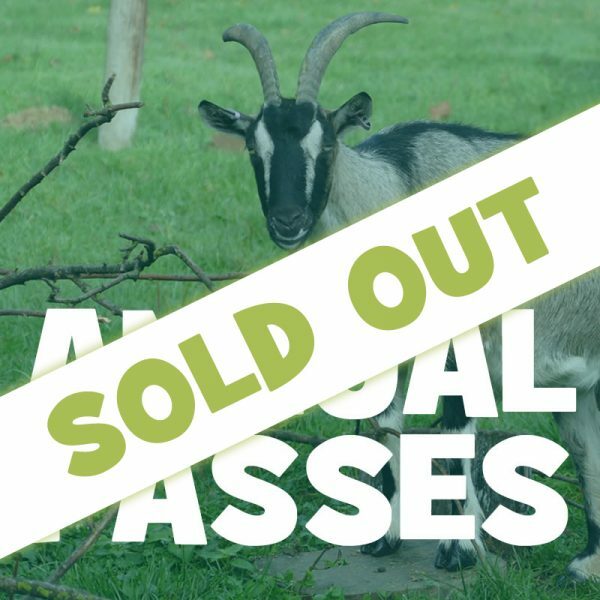 OUR ANNUAL PASSES HAVE SOLD OUT FOR 2019. KEEP AN EYE ON OUR FACEBOOK PAGE FOR INFORMATION ABOUT ANY FURTHER RELEASES! Enjoy a whole year of fun with an Annual Pass for the Hope Nature Centre! This pass will enable the holder entry to Hope Nature Centre for the whole year, including the animal park, play areas and events that are not ticketed separately. To validate your passes, we require a clear photograph of each pass-holder. This will need to be emailed to hncannualpasses@ffc.ac.uk. Please clearly label each photograph with a name so we can make the passes correctly for you. Please quote your order number to ensure we process the correct photographs. The photos will need to be clear and be passport photo sized. YOU WILL BE ABLE TO ACCESS HOPE NATURE CENTRE USING YOUR ORDER CONFIRMATION, AND YOUR PASS WILL BE READY TO COLLECT 7 DAYS AFTER YOU’VE SENT THROUGH YOUR PHOTOGRAPHS TO US.